As a patient of Dr. David Chung, you will not only receive the best care but you will love his chair-side manner and soft touch. 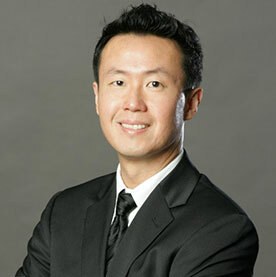 Dr. Chung has been practicing dentistry in Las Vegas since 2002. He received his degree from New York University College of Dentistry. His passion for dentistry and learning has led him to many years of advanced training in cosmetic and implant dentistry. Dr. Chung and his staff strives to provide the highest quality dentistry for his patients. Improving oral health and creating beautiful smiles. Our state of the art dental office is equipped with the latest technologies including E4D that allows for fabrication and delivery of crowns on the same day. In his leisure time, he enjoys basketball, movies, and cooking. With a camera in tow, his adventurous spirit has taken him to many exotic places. His travel photography is showcased around the office. Had a cleaning by Rhea and a polishing by Gladis. Thorough and quick! Thanks so much! I love my hygienist Rhea! She is very kind and gentle.. she takes good care of me and educated me on how to care for my teeth! That’s why I always make my appointments with her. Wonderful experience. My appointment was at 7am I was out by 740 for a tooth extraction. Staff is nice only thing I say they can work on is speaking when someone enter the building. Overall my experience was great. I wish there was a higher rating then just 5 star because this location deserves it! I have had a lot of dental issues and been to multiple dentists in my life and have NEVER been treated better then I have been here. The staff is so caring and actually focuses on helping patients and working to fix the issue and working payments schedules. They have a lifetime customer on myself and my family! Thankyou so much for the amazing experience! Everyone in this Aliante dental office is super friendly, nice, and great at there jobs. I was very happy with the service that I received and I look forward to more visits with them. I absolutely love Aliante Dental. All the technician, hygienists, doctors etc. are very attentive and caring. The procedures are all done with care and concern for my comfort, and they make visiting the dentist enjoyable. Dr. Chun is an excellent dentist, and Petra and Rhea are always so pleasant and I feel that they truly care about my oral health. My Aliante Dental visit was great. The staff was very nice and helpful. 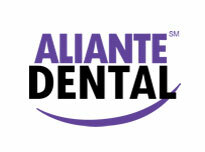 I would definitely recommend the Aliante Dental to all my family and friends. It's a positive experience every time I go. My hygienist, Rhea, rocks! Dr. Chung is thorough. No desire to go anywhere else. Awesome staff... Ladies at the front are very nice. The young gentleman that assisted with my mom's procedure was awesome, patient and kind. He helped my mom out to the car after her procedure and I have to give a special thanks also to front desk staff Tuesday who is friendly, caring and was also a big help with getting me appts for my kids while also helping with getting my mom taken care of on 7/8/17.... Appreciate you all!! !